Free shipping. Buy direct from HP. See customer reviews and comparisons for the HP ZBook 17 G5 Mobile Workstation. Upgrades and savings on select products. 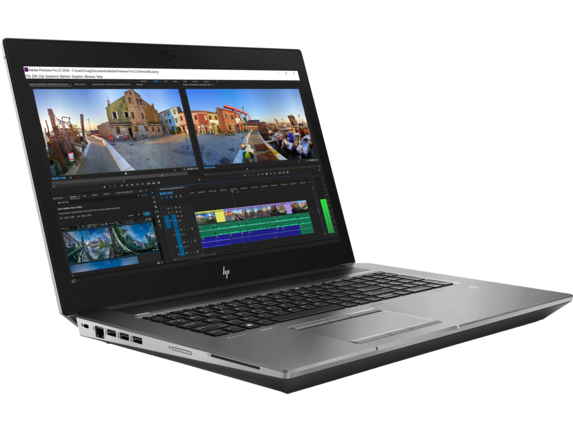 The HP ZBook 17 is packed with up to 50% more cores gen over gen, 512 GB storage , and 16 GB memoryand NVIDIA® Quadro® P5200 graphics. And with 20% better thermals, it will stay cool and quiet even under intense multi-application workloads. Create stunning visuals with one billion colors on the HP FHD display . With an integrated color calibration system and 100% Adobe RGB, your colors will be vibrant and accurate every single time. With up to 50 million different configurations , the HP ZBook 17 can be customized to meet any demand. And when your technology needs to evolve, you can upgrade storage or memory in seconds without tools. 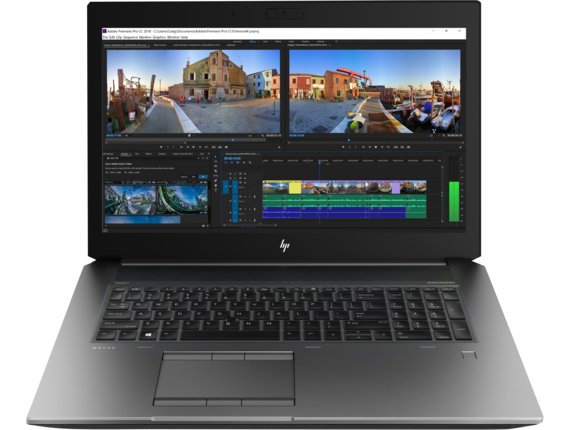 The HP ZBook 17 is packed with up to 50% more cores gen over gen, 512 GB storage, and 16 GB memoryand NVIDIA® Quadro® P5200 graphics. And with 20% better thermals, it will stay cool and quiet even under intense multi-application workloads. Create stunning visuals with one billion colors on the HP FHD display. With an integrated color calibration system and 100% Adobe RGB, your colors will be vibrant and accurate every single time. With up to 50 million different configurations, the HP ZBook 17 can be customized to meet any demand. And when your technology needs to evolve, you can upgrade storage or memory in seconds without tools. 1 Not all features are available in all editions or versions of Windows. Systems may require upgraded and/or separately purchased hardware, drivers and/or software to take full advantage of Windows functionality. Windows 10 is automatically updated, which is always enabled. ISP fees may apply and additional requirements may apply over time for updates. See http://www.windows.com 2 Must be configured with HP approved VR Ready graphics and CPUs. 3 HP Sure View integrated privacy screen is an optional feature that must be configured at purchase and functions in landscape orientation. 4 Raid 1 planned to be available in December 2018. 5 Adobe Premier Pro and Autodesk 3ds Max sold separately. 6 MIL-STD-810G testing is not intended to demonstrate fitness of U.S. Department of Defense (DoD) contract requirements or for military use. Test results are not a guarantee of future performance under these test conditions. Accidental damage requires an optional HP Accidental Damage Protection Care Pack. 7 For hard drives, GB = 1 billion bytes. TB = 1 trillion bytes. Actual formatted capacity is less. Up to 30GB (for Windows 10) of system disk is reserved for system recovery software. 8 128 GB RAM is planned to be available in December 2018. 9 ZBook dock with Thunderbolt™ and dual displays sold separately. 10 For storage drives, GB = 1 billion bytes. TB = 1 trillion bytes. Actual formatted capacity is less. Up to 30GB (for Windows 10) of system disk is reserved for system recovery software. 11 128 GB memory is planned to be available in December 2018. 12 DreamColor display required for 1 billion colors and is an optional or add on feature. 13 Based on total components and configuration possibilities.